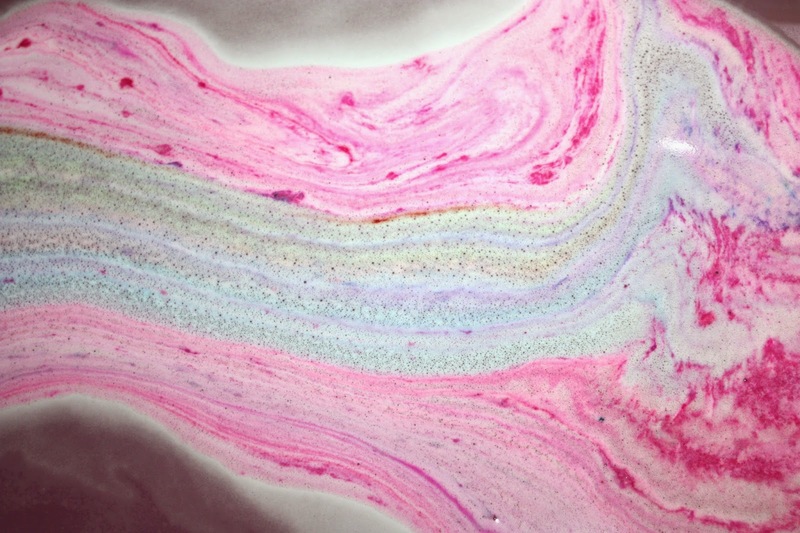 Granny Takes a Dip is a psychedelic bath bomb, that is scented with ginger, pepper and lemon. It costs £3.25 and the lemon oil aims to pep you up and boost your mood whilst the ginger and pepper are warming. It is such a lovely bath bomb. 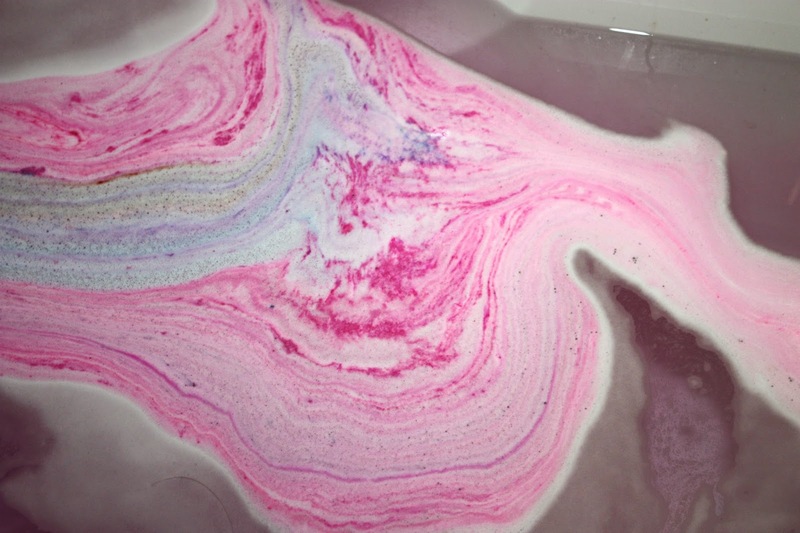 From the minute it touched the bath water, the water was filled with colour and was beautiful. 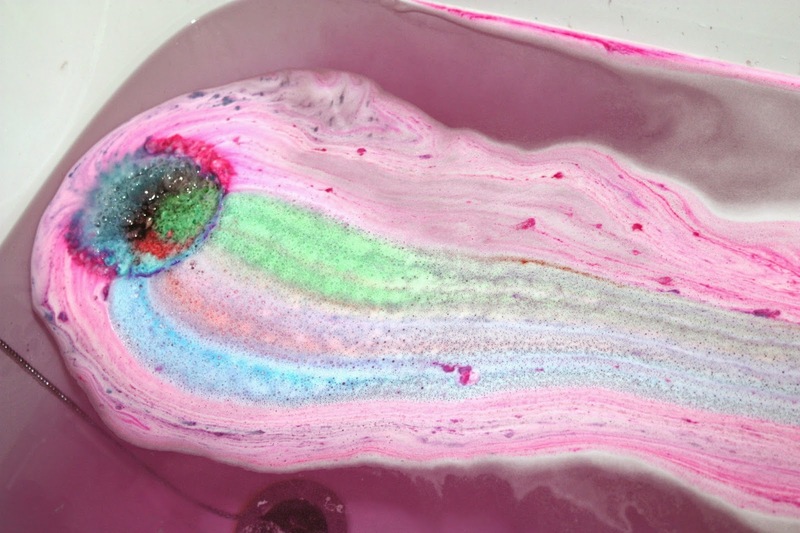 It was quite a slow bath bomb and it was quiet, but I enjoyed watching the colours develop in the bath and it was different to any I've used previously. As it contains ginger, I thought the strong may be quite strong but it was not over powering, and the smell did not linger as long as I thought it would. I enjoyed using this bath bomb but was slightly disappointed that it did not leave my skin feeling soft when I got out. 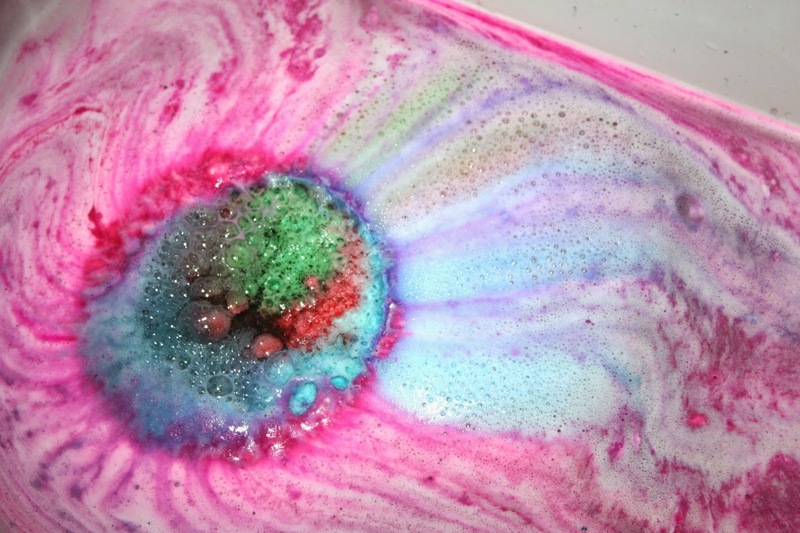 But for a nice, relaxing, extremely colourful bath it did the job. 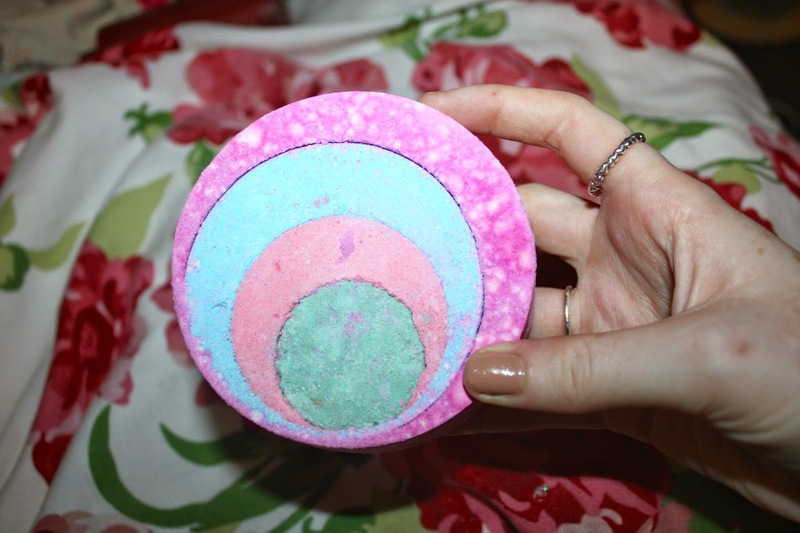 The bath bomb is pretty big too so it is completely worth the money and can even be broken up for separate baths. Have you tried this bath bomb? 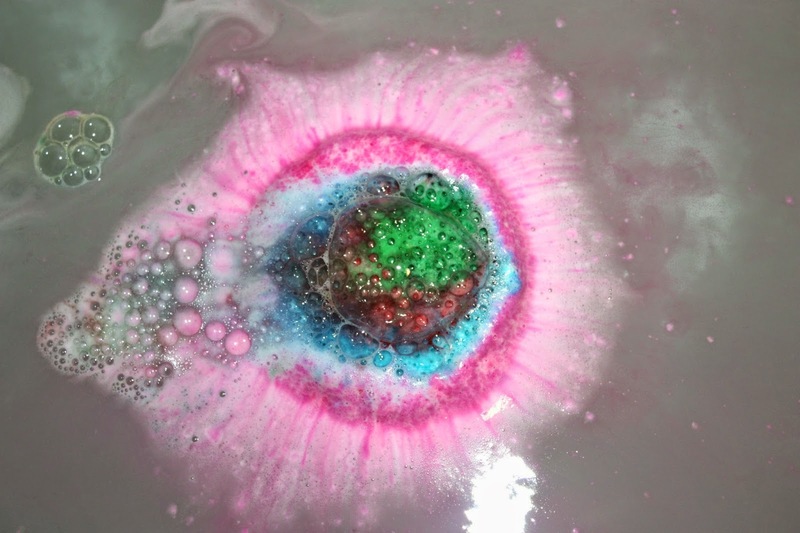 What's your favourite bath bomb from Lush? The colours are so nice then it turns....GREEN!! 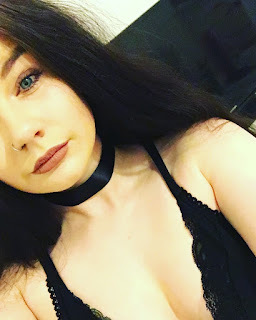 I just don't get it! Green looks really disgusting, I love the idea though!